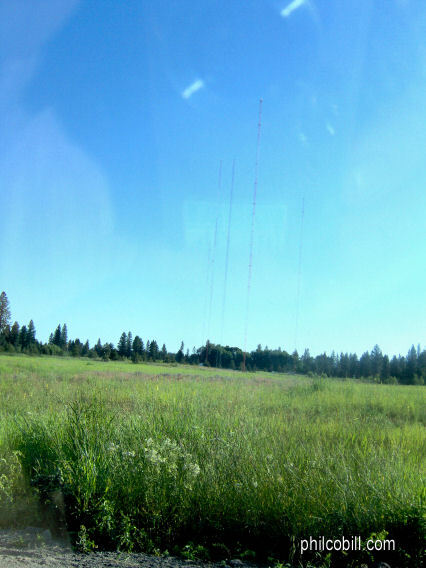 KGA and KJRB multiplex their signals on this five tower directional array, situated in the middle of a scabland meadow in Spangle, south of Spokane. 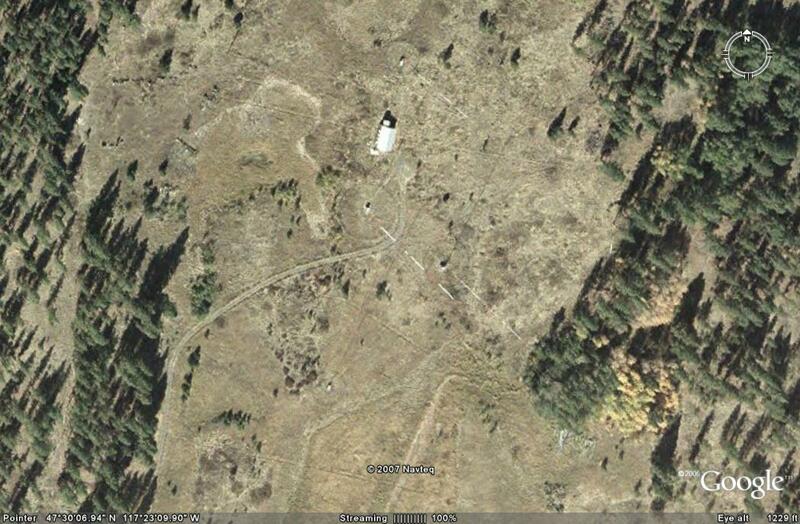 The transmitting plant was installed by Montanavision, Inc. of Three Forks, Montana in 1997. The following is an account of the construction of the Spangle Site as provided to me by Jim Bender of Montanavision in an email. The words are all Jim's since his account is better than anything I could come up with. I have formatted the paragraphs etc. to make it fit into this page. "The project was managed and supervised by the Citadel corporate Director of Engineering, Steve Campbell. Other Citadel employees, including Bill Gott, Mark Kordash, Martin Stabbert, and Rick Housely, also worked on the project. Engineer Lee Rey is also mentioned on my site. I'm not sure of his exact relationship to Citadel. "At their previous locations, KJRB and KGA were both licensed for non-directional (single-tower) operation during the day and directional at night. 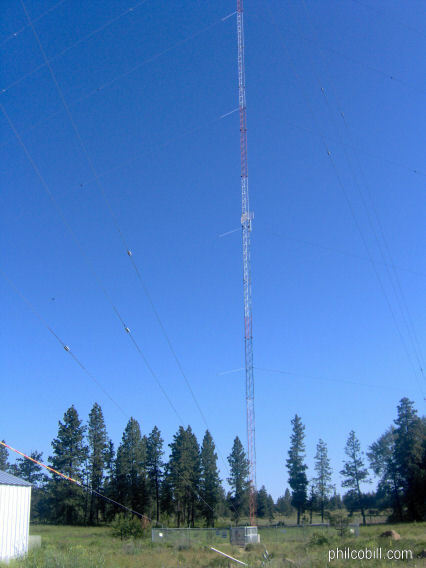 When KJRB commenced operation at the Spangle site, KJRB used one tower (non-directional) during the day and four towers at night. 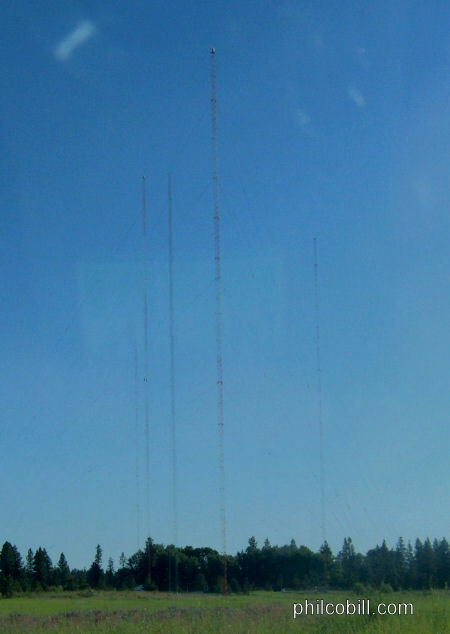 Chief Engineer Bill Gott believed that greater daytime (non-directional) coverage for both stations could be had by employing a very tall (greater than 1/4 wavelength) tower for daytime operation. To that end, one of the towers is 414 feet tall. In practice, the site is so far south of the city of Spokane and the ground conductivity so poor that both stations were forced to employ directional operation during the daytime in order to produce adequate signals in Spokane. 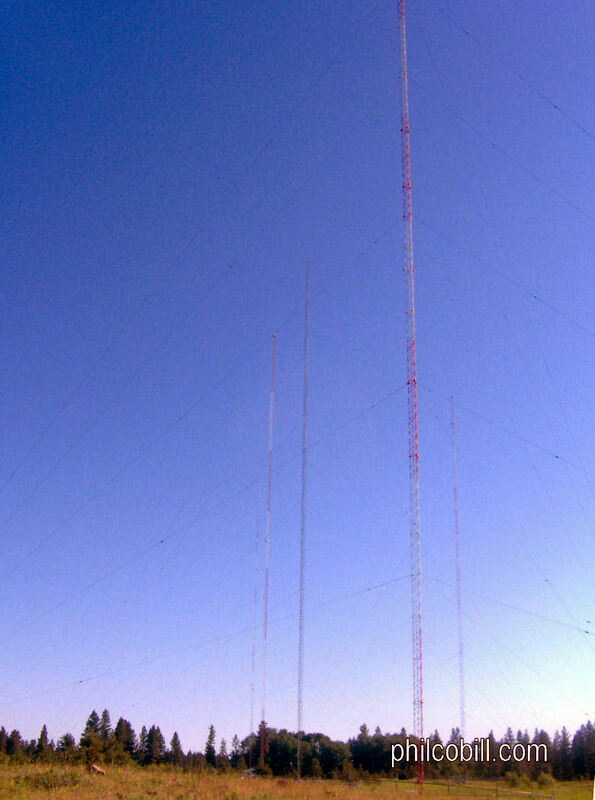 The tower that gives KGA a null toward Nashville at night was brought from the old Regal Avenue site, and is of a height suited to the KGA operating frequency of 1510 kHz. 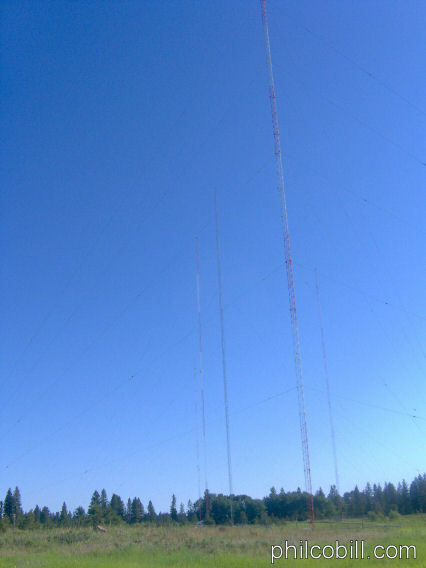 The remaining three towers were intended to produce the nighttime directional pattern for KJRB, with their heights likewise linked to the operating frequency of 790 kHz. "The wetlands on the site introduced stringent limitations on the construction of the facility. 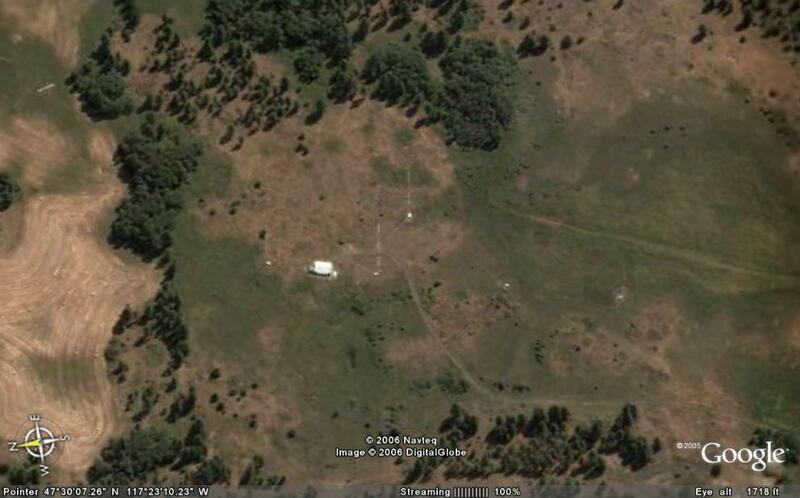 "Washington engineer George Fries did some of the original design work for the combined array. He tried hard to reduce the number of towers from five to four. He also wrestled with one tower in the array that had almost no current in it. Eventually, Bill Gott and Steve Campbell took over the design of the array. They scrounged around for parts on the used market and were able to purchase many components second-hand. The cabinets for the phasors and antenna tuning units were fabricated locally. The technicians constructed the phasors, the pattern-switching system, the antenna tuning units, and the control system. "At the time of construction, KGA was using a Nautel AMPFET-50 (50 kW) transmitter that Bill Gott had nicknamed "Christine." 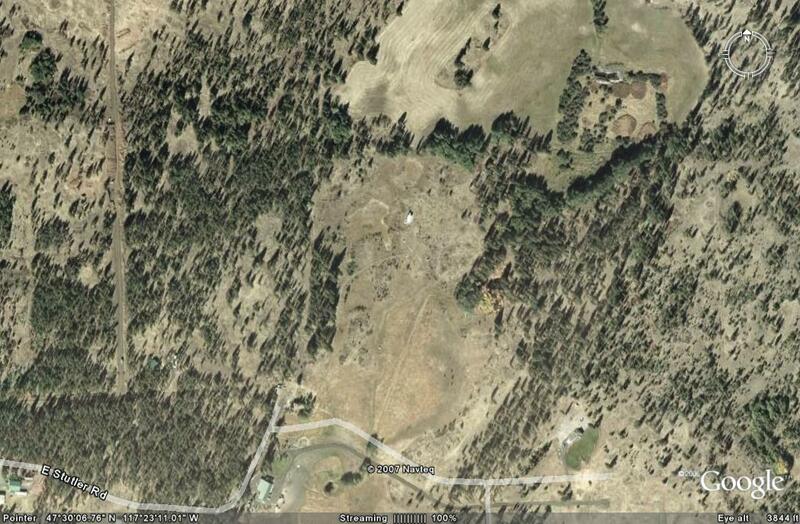 That transmitter was moved from the old Regal Avenue site to the Stutler Road site. During the move, KGA operated with their backup transmitter, an RCA 10 kW model that had been extensively modified by engineer Jim Stargel. "The KJRB main transmitter was a Collins PowerRock 5 (5 kW). Soon after I arrived, we began to dismantle the KJRB array on 57th Avenue. The Collins was too temperamental to operate with the squirrelly loads of the changing array at the old location, so the backup transmitter, an RCA BTA-5H, was put into use during demolition. 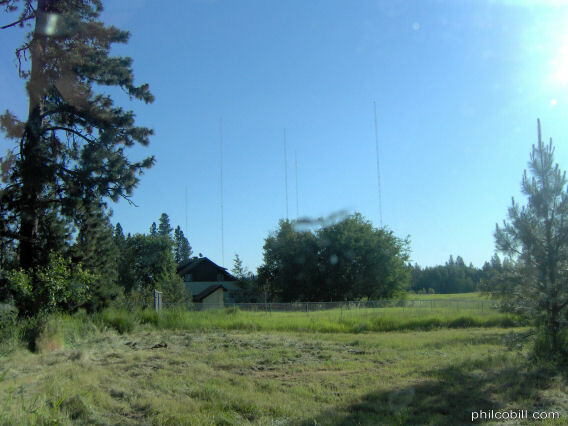 At the new site, we found that the Collins didn't like the new array much, and the RCA was on the air from the Stutler Road site for many weeks. "We declared the facility to be substantially complete in August, 1997. Getting the system to produce the proper directional patterns took a lot longer, as you can see from the license dates. "Since that time, Steve Campbell has left Citadel. Bill Gott has passed away. Martin Stabbert is the current Director of Engineering for Citadel. Rick Housely has left broadcasting. Mark Kordash is the Chief Engineer of WABC in New York." 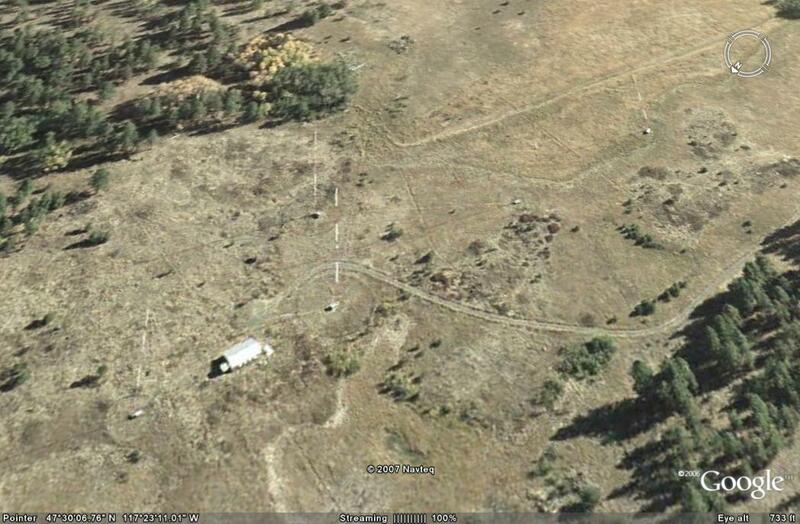 It took me about one hour to find a good way to get to the site. I found at least two ways to access the site. One is to drive on a gravel road suitable for four-wheel drive rigs. The other is to park along Our Ranch Lane on the southern edge of the meadow where the towers are situated and hike closer to the towers. I chose the later. It was a fun little hike with lots of interested wildflowers in bloom in the meadow. 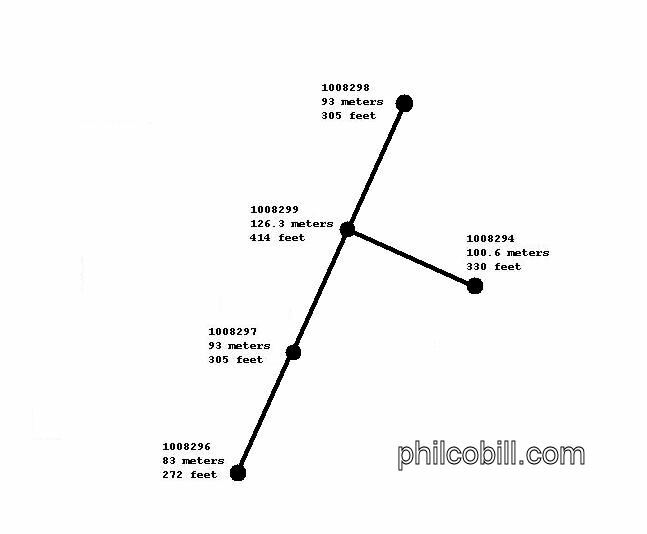 Tower orientation sketch, includes heights and FCC tower numbers. 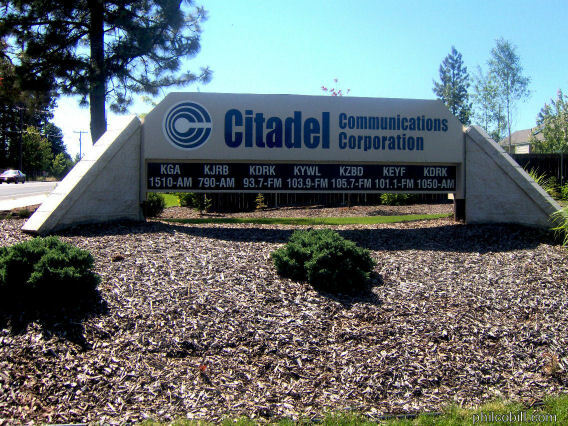 Sign outside of Spokane's Citadel Broadcasting studio and offices on South 57th Avenue on Moran Prairie. 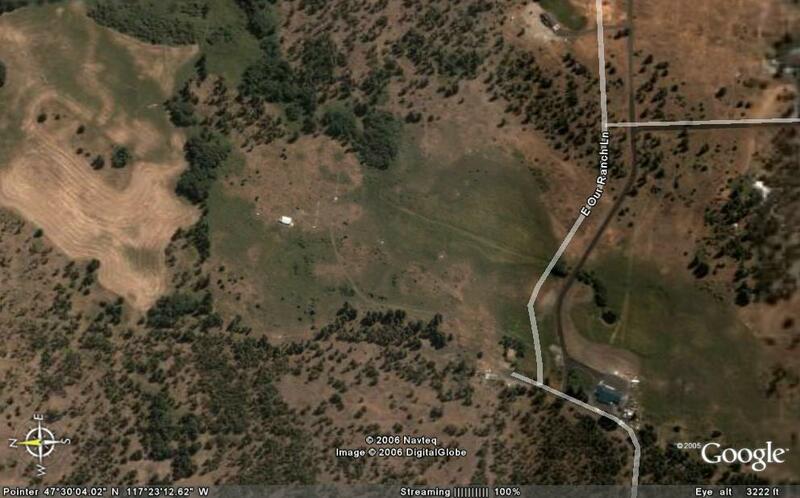 This was where KNEW and later KJRB was located. 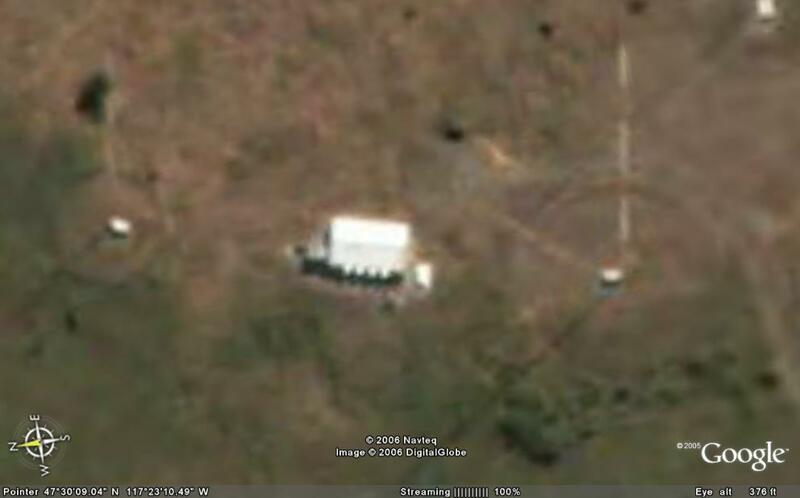 The four-tower array for KNEW/KJRB was dismantled when KJRB's transmitter moved to Spangle and when Citadel moved it. Tour of Citadel Spokane on 57th. Montanavision Inc. constructing the Spangle Site in 1997 - Interesting photos of the guys who built the site as well as the site itself.